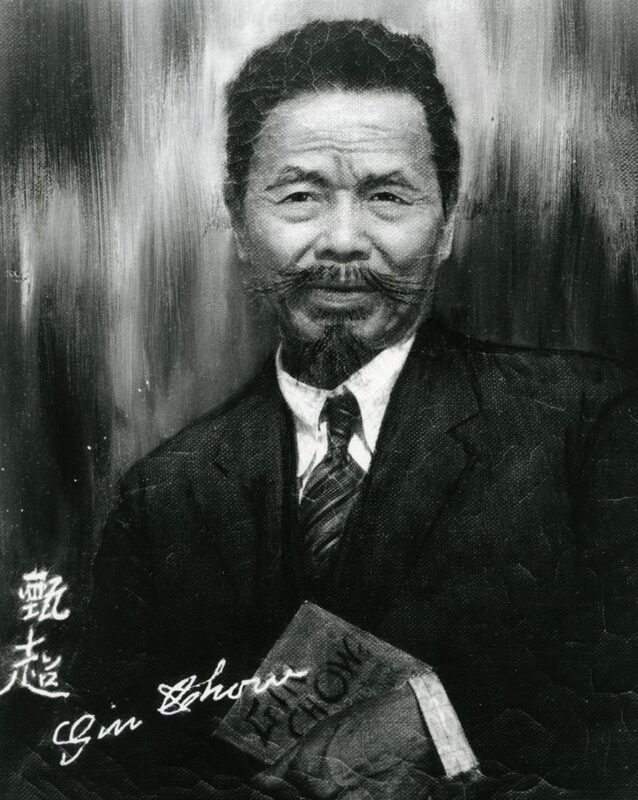 Gin Chow was born near Canton in 1857. The gift of prophecy apparently ran in the family and when Gin Chow’s grandfather made some predictions which displeased the imperial government, he was imprisoned for the rest of his life. This tragedy no doubt helped Gin Chow in his decision to come to the U.S. In 1873, Gin Chow journeyed to Santa Barbara to join family members already here. He engaged in various odd jobs then went to work as a servant on W. W. Hollister’s Glen Annie ranch in Goleta. Hollister was a vigorous champion of Chinese immigration to California and the family and Gin Chow developed a warm relationship. In California history, Gin Chow will be best remembered for the role he played as the leading plaintiff in an all-important water rights case. In August 1928, Gin S. Chow, et. al. vs. the City of Santa Barbara and the Montecito County Water District began. Forty plaintiffs, owners of land watered by the Santa Ynez River, claimed that Santa Barbara and Montecito did not have the right to siphon off the river’s flood waters to supplement their water supplies. The suit dragged on for over a year and the final decision was overwhelmingly in favor of the defendants. The court decided that Santa Barbara and Montecito had the right to use almost four times the water they were presently diverting. An important precedent was set in the question of municipal water rights. In 1932, it appeared that Gin Chow would die from injuries sustained when a neighbor’s bull gored him. He insisted his time had not yet come, that he still had a year to live. One year later, a truck struck him as he crossed State Street. He did not survive the accident. His final prophecy had come true. This article appeared in the Santa Barbara Independent.